World Wildlife Day was celebrated earlier this month, and I’ve been meaning to add a personal offering. I seem not to have been able to find the time, until now, though, with holiday travel with family to Australia, a visit from old friends from student days in Germany, tax preparation, and lots more. This year the focus is on marine species. 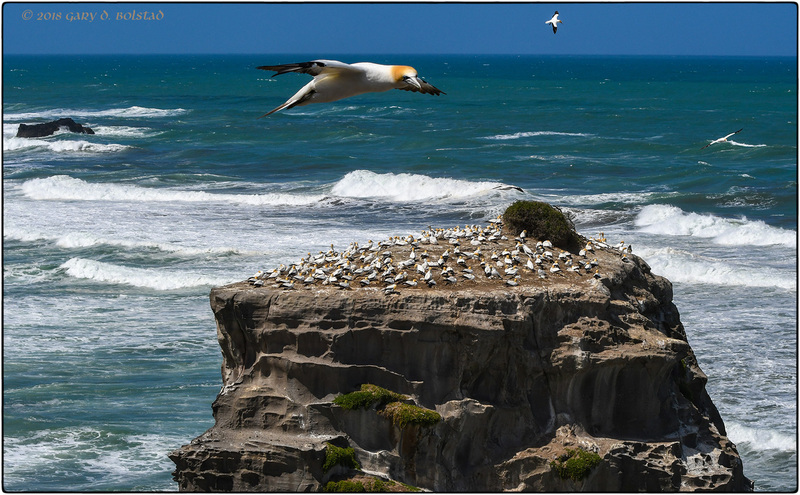 I haven’t recently done any snorkeling or visited an aquarium, but I did pay another visit to Muriwai, the site of the colony of Australasian gannets some 30 km west of Auckland. 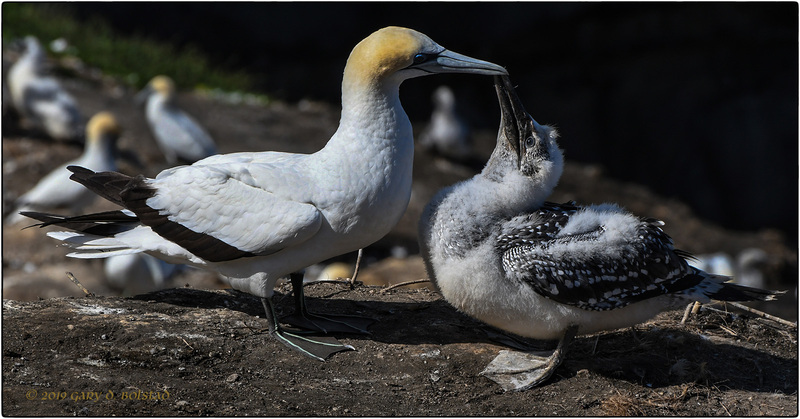 I’ve posted about them several times before (you can easily find them by doing a quick search for gannet), so I won’t take up your time with repeated general information. They are, admittedly, not exactly marine animals per se, but the adults spend the vast majority of their time at sea, fishing for themselves and their young. 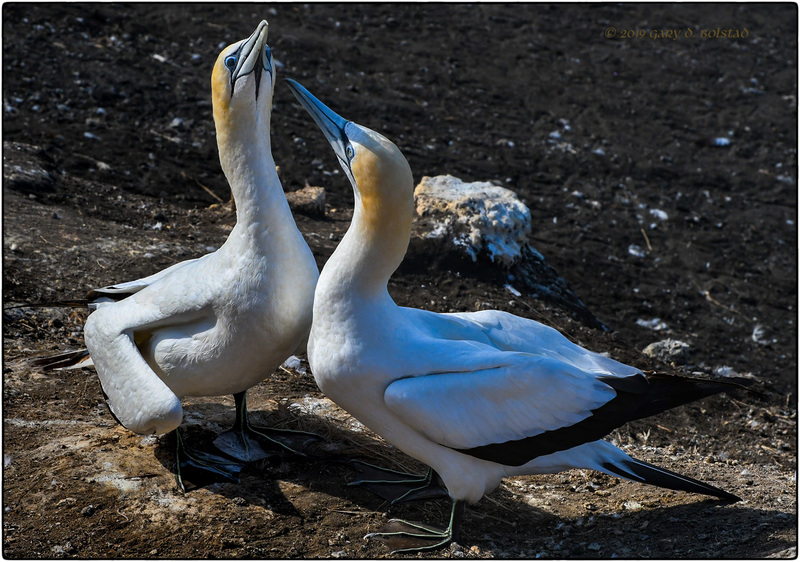 The day was glorious—bright, sunny, and calm—with the result that most of the colony were out fishing and only around 10% of the population was in residence. 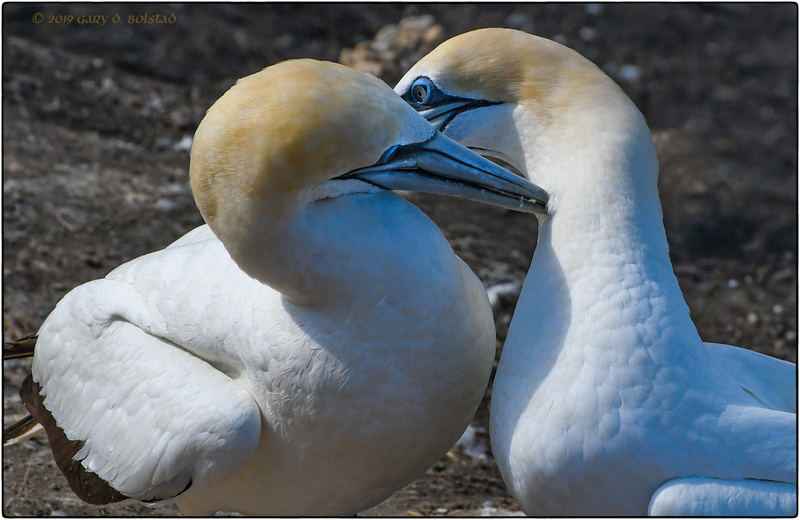 I had less than an hour, but that was enough time to capture these images of these really magnificent birds. 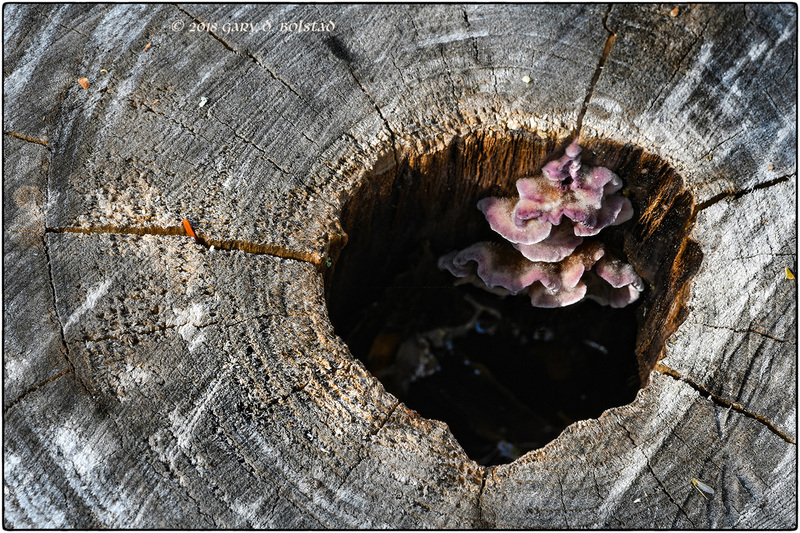 For a more detailed view, please click on an individual image. Happy (belated) WWD! How about a nice spider to spin off the New Year? I’m pretty sure this one will ring a few bells with some of my followers, as it’s the third one I’ve found here in New Zealand and brought to you. The first one (here) was nearly five years ago and the second (here) just a little less than a year ago. This new one was resting quietly on a leaf in Batty’s garden yesterday. It was pretty windy and the stem that held the leaf was rather long, so it was a challenge to try to get a clear shot. In the end, having only a few minutes to devote to the challenge, I had to brace a garden tool against the stem and use another for a makeshift monopod. I made twenty shots and am satisfied with two of them. She’s a Poecilopachys australasia, commonly known as a two-spined or Madonna spider, and the plant where we found her was an Australian milkweed (I’m pretty sure it’s Asclepias curassavica), which was quite appropriate, as this spider is a successful immigrant from Australia and has been here at least since the early 1970s. 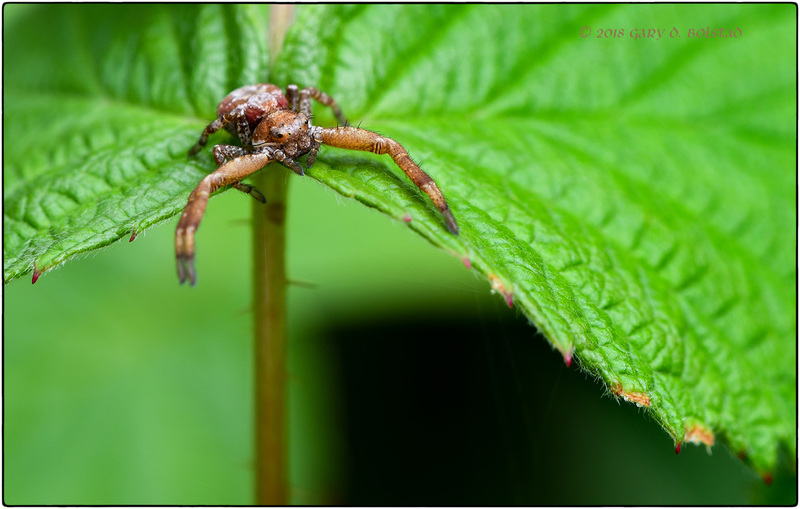 We know that it was a female because the male lacks the characteristic spines and is far smaller, only about 2.5 mm in length or about a quarter the size of the female; in fact, they are so dissimilar that it was originally thought that the two genders were actually different species. 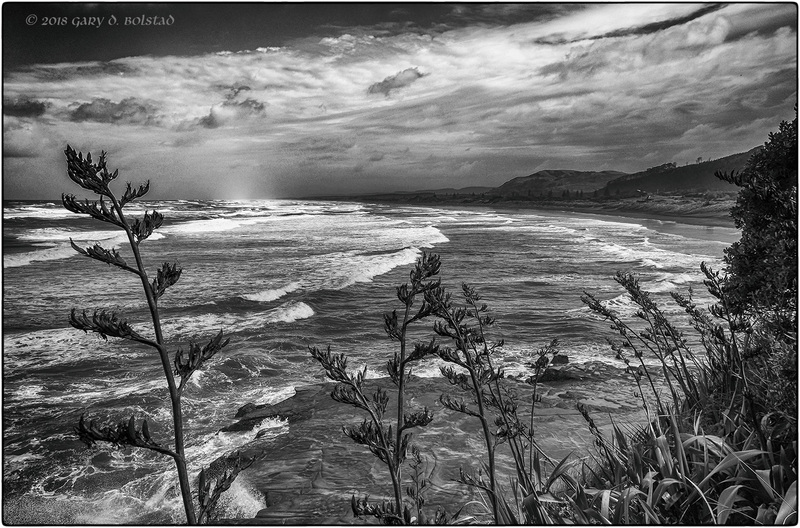 I have written about Muriwai Regional Park several times before, and it holds a very special fascination for me. 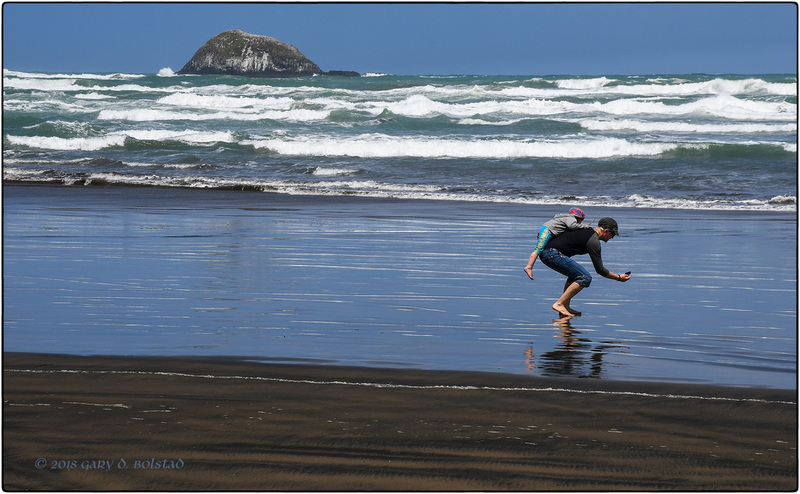 It contains a magnificent beach on the western shore of the North Island, in the Waitakere Ranges, a little less than an hour’s drive from Auckland, and is the home many sea birds, most notably a famous colony of Australasian gannets (Morus serrator). 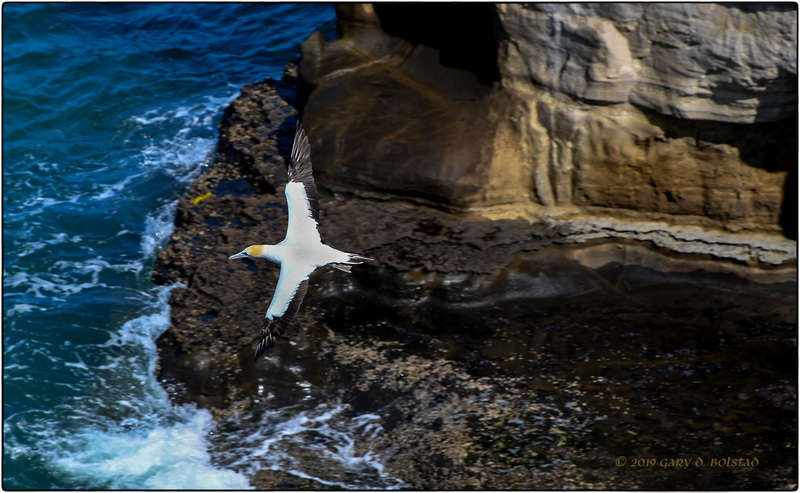 This is one of only three places in New Zealand where gannets nest on the mainland, and is by far the most accessible. Some 1200 gannets nest here from August to March. 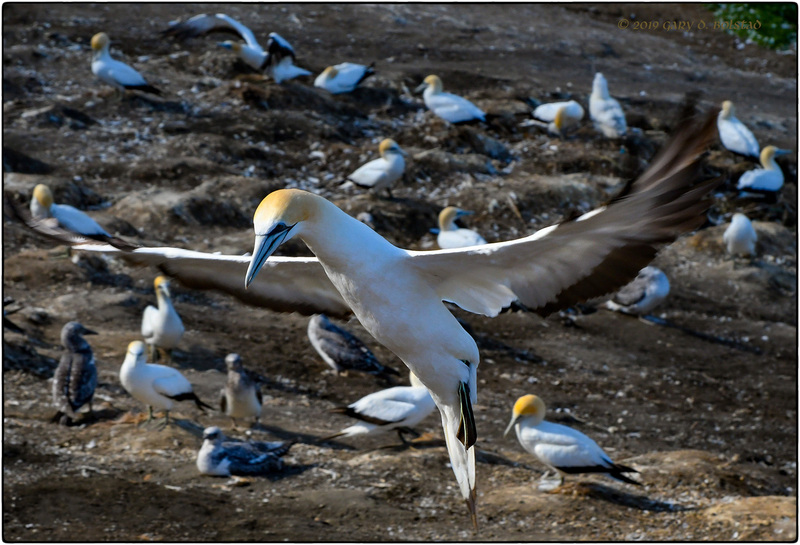 A short hike leads up from the northern beach to two overlook platforms, providing spectacular views of these amazing fliers and their nesting grounds. The beach itself is well worth visiting for a lovely stroll, pretty much regardless of the weather, though it can really pay to be prepared for sudden squalls that can appear with very short notice. Batty and The Sprout (now two years and nine months old) took me back for another long-overdue visit last week. How delightful! that I’ve made with the ones in the books. Here are a few from the past several days. There is only one more week remaining of summer here in the northern hemisphere, and the signs of the approaching autumn are plentiful. It has been a memorable and rewarding four months, and it’s time again to start to prepare for the upcoming transition to the start of spring in the south. 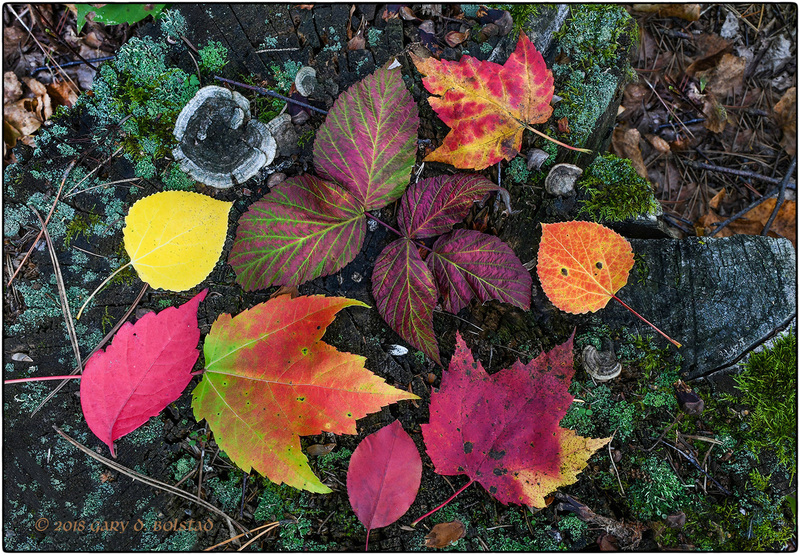 A few of the maples and most of the sumacs are beginning to show off splashes of their scarlet phase and the leaves of other trees and bushes are turning brilliant yellow and developing rusty crimson veins. 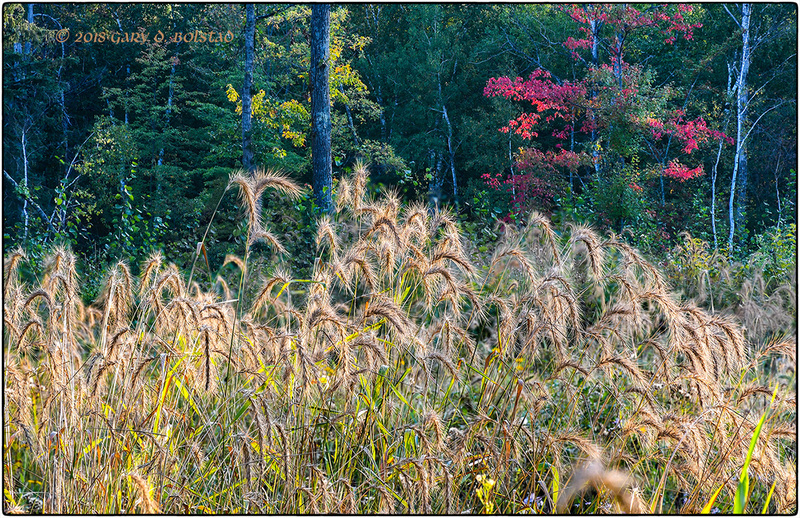 The grains and grasses glow with golden light. 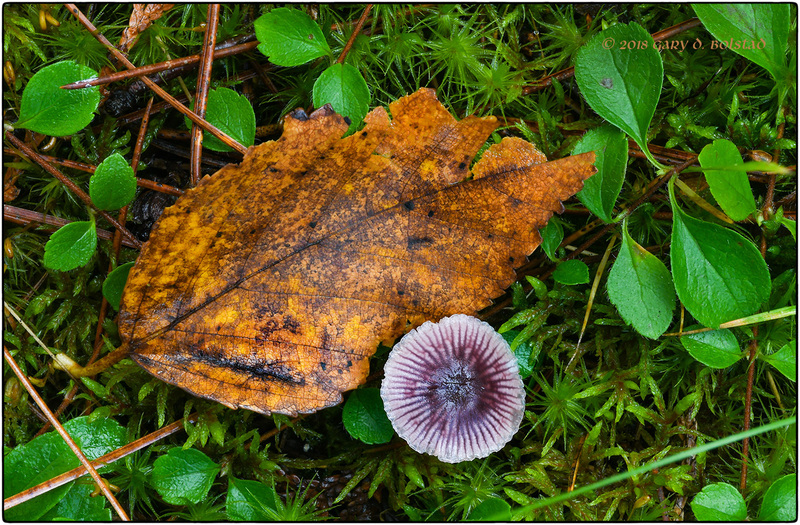 I love this time of year, and it’s a real pleasure to be able to walk in these wonderful northern Minnesota woods and enjoy it again. I’ve been working on a nature trail for a couple of decades in our south seven acres of forest here in northern Minnesota. 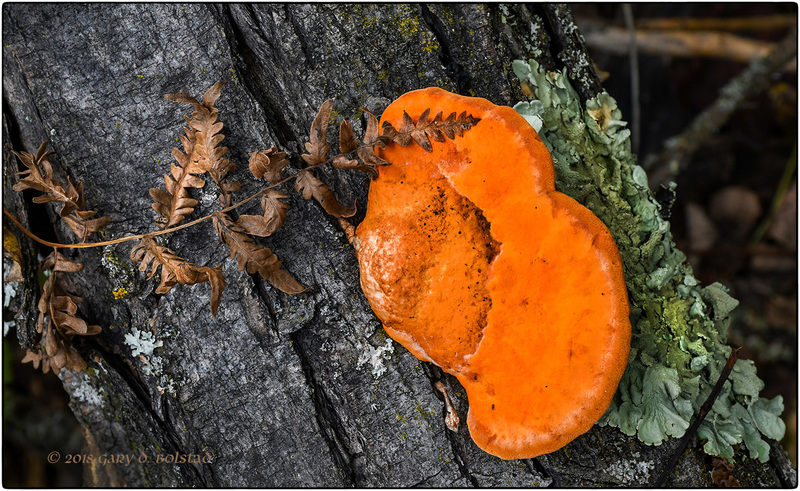 I look forward to this time of year with special anticipation, to see what delights will appear. 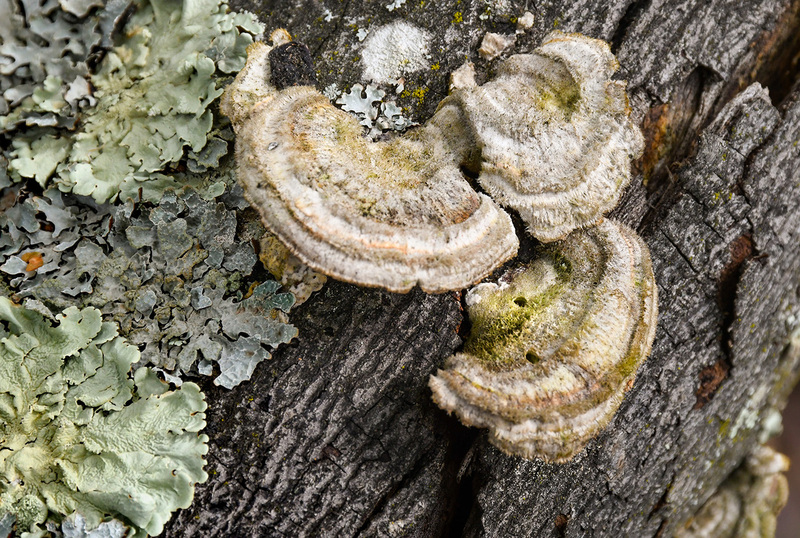 There are always interesting mushrooms and lichens, but this one was particularly rewarding. 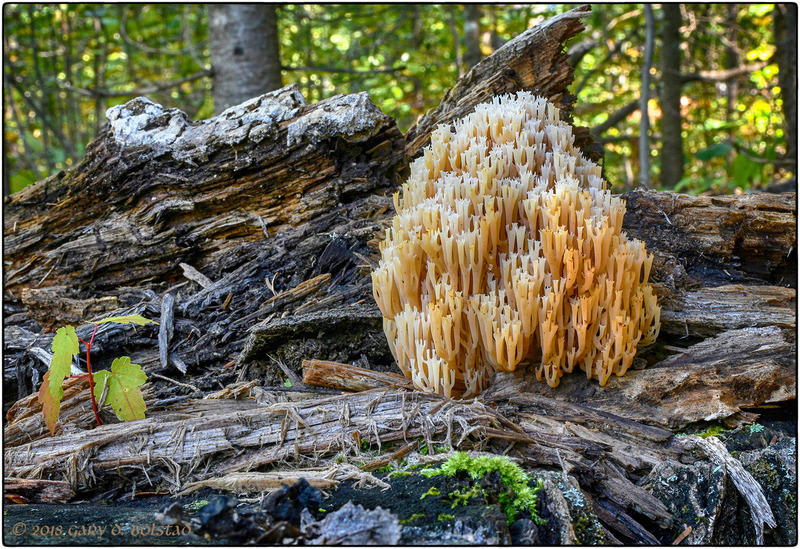 My Mushrooms of the Upper Midwest tells me it’s a crown-tipped coral mushroom, Artomyces pyxidatus. How lovely! 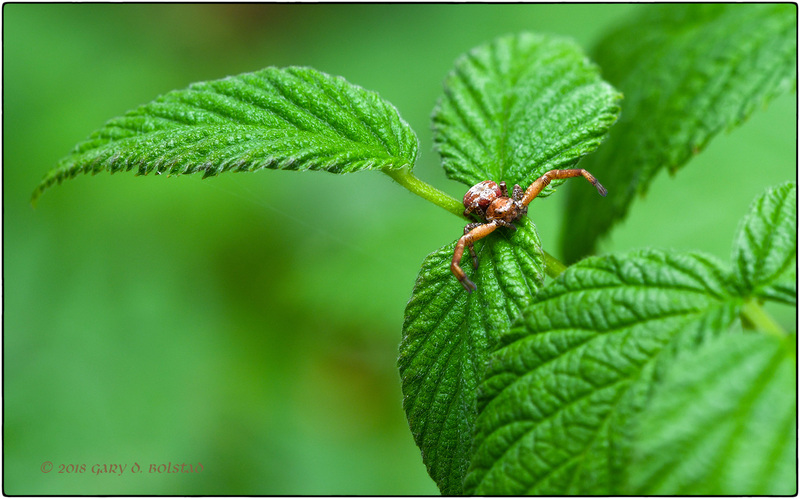 While prowling the raspberry bushes the other day, I found this little spider waiting patiently on the topmost leaves of one of them. 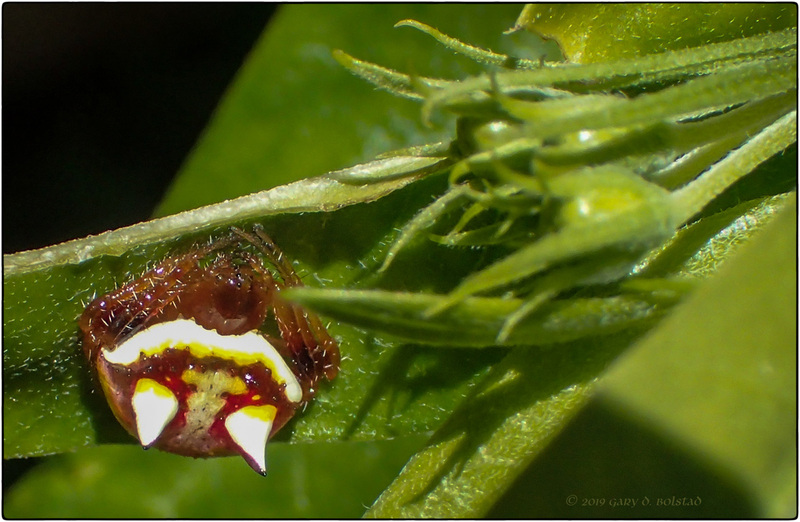 Most crab spiders I’ve seen here usually wait in ambush in or very close to a blossoming flower, but this one had chosen a spot with no flowers near. It was a fairly calm early afternoon but there were nearly-constant little puffs of breeze, which alwaysserve to make serious macro work quite a challenge. It took me the better part of an hour to get these four portraits. 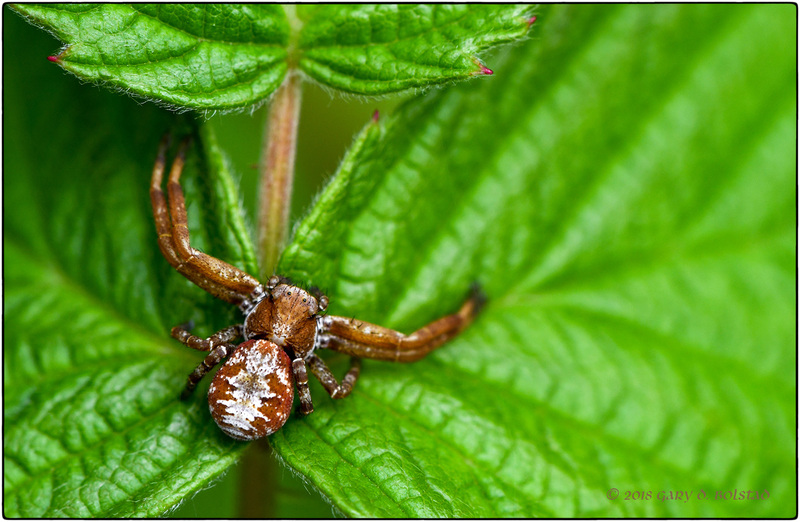 I looked her up in Larry Weber’s beautifulSpiders of the North Woods and identified her as a transverse-banded crab spider, Xysticus transversatus (formerly Xysticus ferox). 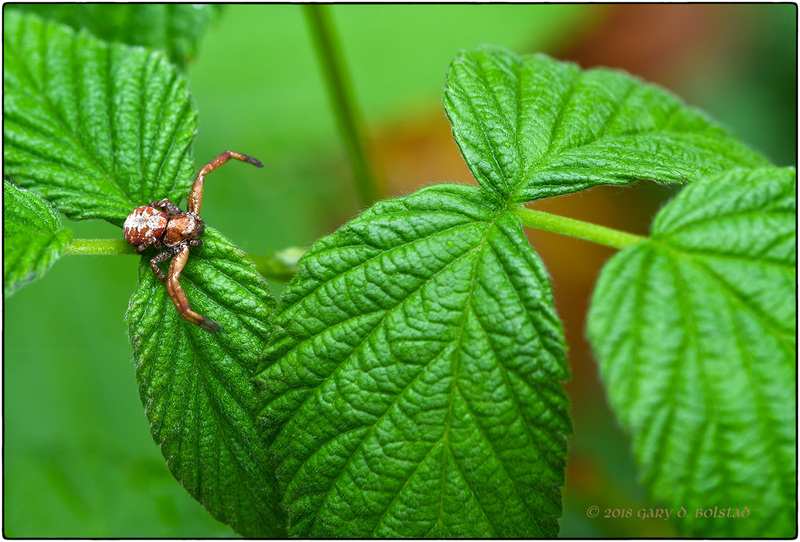 I’m sure it’s a female because the male has terminal enlargements “boxing gloves” on his palps and is smaller. 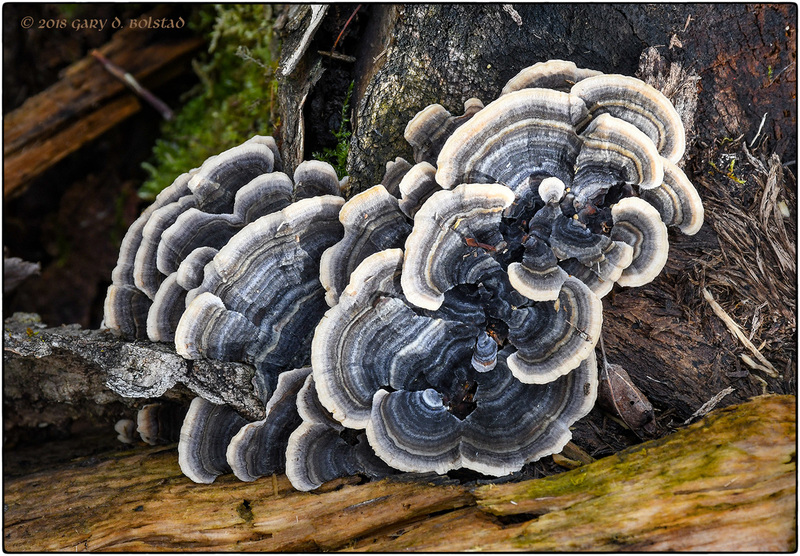 Please remember to click on one of the photos if you’d like to see it at higher resolution.